The NuForce NE-770X features design principles similar to those of the highly acclaimed NE-700, but with a somewhat different personality. The NE-770X wide-range, non-metallic drivers have been configured to produce a natural, supremely musical sonic signature without sacrificing dynamic punch, soundstage dimension, holographic imaging, or wide-band frequency response. The NE-770X polycarbonate body is acoustically inert and comfortably lightweight. 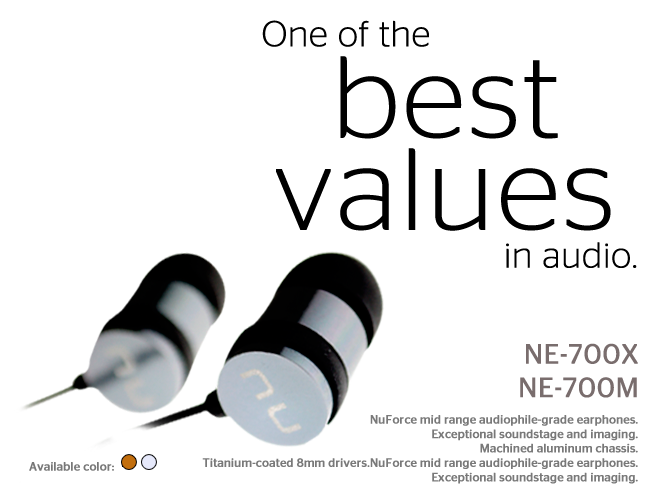 The NuForce NE-600X and NE-600M Earphones unique, high-efficiency design delivers excellent bass, a harmonically correct tonality, a deeply layered soundstage and superb acoustic isolation. 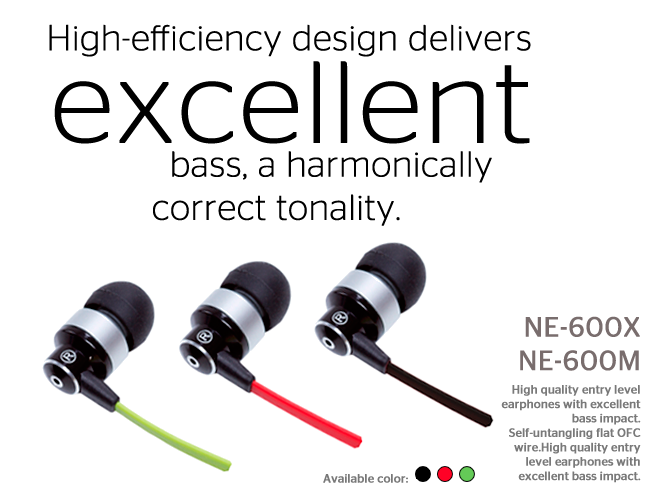 The NE-600M Earphones include a hands-free microphone with button for call answering and music playback control. 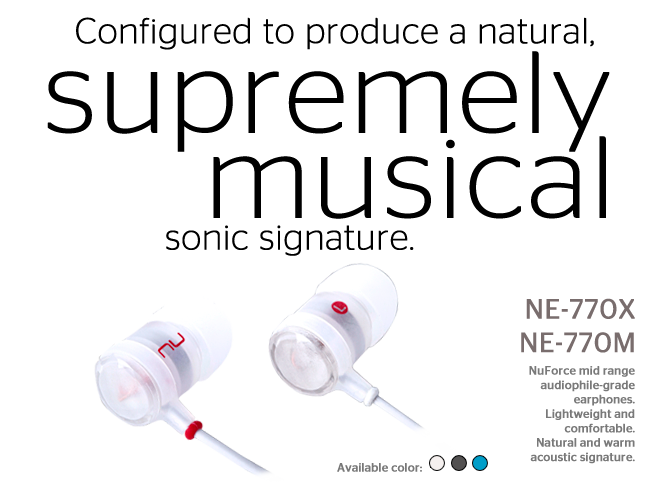 The NuForce NE-700X and NE-700M Earphones feature wide-range drivers encased in machined aluminum chassis designed to minimize vibration and resonance. The drivers’ titanium-coating delivers an exceptionally clear, extended bass and distortion-free holographic imaging. 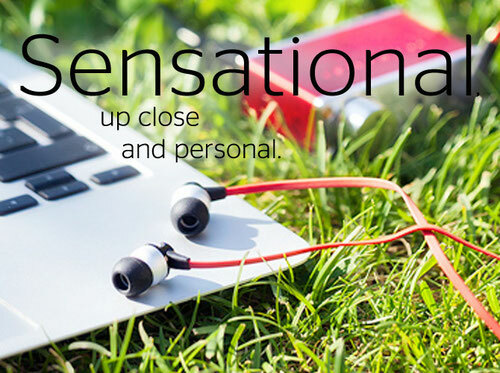 The NE-700M Earphones include a hands-free microphone with pick-up button for answering phone calls and operating music playback/fast forward features.